Discussion in 'Games' started by takao, Mar 29, 2006. "The Revolution has 512 MB of flash memory, allowing for some initial storage space. The system also has a slot for SD memory cards, which are widely used in digital cameras and can hold a greater amount of data. Most importantly, Iwata mentioned, were the USB ports that are built into the Revolution "so practically any storage method can be used". " perhaps External USB Harddrives ? usb sticks ?
" "A number of different publishers are now interested in participating in this virtual console system," he said. "As far as the details, though, I believe we will wait for another opportunity before discussing them." "
further consoles ? anyone want to take guesses ? How about an Amiga or C-64 emulator? I'm not trying to threadcrap, seriously, but I'm just not getting the attraction of the ability to play ancient games. Sure, they're a fun novelty but after a few hours it wears off. I just don't consider the ability to play games from bygone eras "revolutionary." all i know is i will own all the Zelda games again. and LTTP will take up many many hours. So novelty after a few hours nope. And all my wonderful Sega games that i miss. Altered Beast ><!!! Only old games i'm interested in is from the N64,Dreamcast era...not interested in the old Nintendo games(well some of em). Why are all my little predictions coming true? Shard! Now it's official I can rest easy. get another external HDD case. one to match my Rev of course, get a nice little 30 or 60gb. At that space I could easily afford a super fast RPM drive too. So it's all good! Very good. Further Consoles... hmm. They get an Amiga emulator, ooh, what about Amstrad? They released those games for free a while ago. Maybe they'd appear on the Rev and be free there too?
" It's entirely possible that some downloads might not be permanent, either, making additional storage space less important. "We can set some limitations as to the time period a piece of downloaded content can be played," said Iwata. "Or, we may opt to let users play as long as they want. This gives us a flexible business model." "
that aside you know a lot of people missed great games back then .. sometimes because they had little money or simply because there were no way to know which games will be released when etc. what are other guesses ? Atari ? or some other obscure console like the turbo fx which never really made it to europe ? I guess everyone had missed this photo earlier? 2 USB right in the back. I am using a standard IDE harddrive with a cheap $20 USB2 enclosure with my Xbox360 now... a good route to go, and there are a lot of options (3.5" are standard hdd size, smaller are for laptop drives). Or you could get a 30/60GB iPod. I think that the old games downlods are not what will make the Revolution "Revolutionary". It's simply added value. I'm also waiting for the last revolution "big" mystery feature to be revealed at E3. Straight from the mouth of topic starter of the wastelanded "Fake-olution" thread. Remember. This is a feature, not the whole system's vocation. Actually, thanks for bringing that up. XBLA mimics a lot of this and my criticims apply to it as well. For example, I purchased Gauntlet ($4) on a whim and fooled around with it but, at the end of the day, it's still Gauntlet. Yea, I got to experience my high school days (ack, is it really that old!) by playing the green elf, but it's an empty playing/gaming experience today than it was before. It's cute but not worth having around. Certainly it has no draw that a library of 1,000 such titles would have any differently. Interestingly my daughter enjoys playing Gauntlet. However, I do think XBLA and Nintendo are onto something with the new arcade games: quick, easy to play, and fun. On XBLA there's Hexic HD and Geometry Wars..."new" games that fill this arcade experience. But my topic and criticism isn't really against these new games, it's about the older titles. The virtual console and the ability to download these games (even on XBLA) is more of a gimmic than a real feature. Again, nothing revolutionary here, IMO. "While the Virtual Console's focus so far has been on classic games, Iwata said Nintendo fully plans to use it for new titles as well." etc. 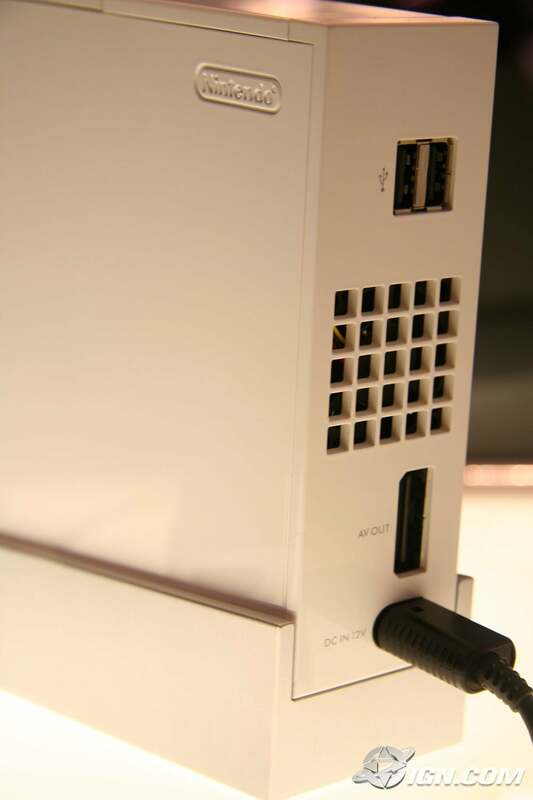 The 360 USB ports are read-only, however; you can't write to them. I hope USB flash drives are usable. 1gb USB drives are getting really cheap (more so than SD cards). I missed most of the N64 games, except 007 (which won't be available anyways), since I didn't own one. I'm looking forward to the Zelda games and Paper Mario most. I am sure there will be others I will want to play. There are a few SNES games I'd like to revisit or play for the first time, but I think the only NES games I will be interested in are the light gun games. I doubt this is a hardware limitation though, likely OS restriction so they can sell their overpriced $100 20GB hdd/Premium stuff. off topic: i heard that you can rip music and initially thought that you put them on external HDs etc. while the game stuff has to stay on the internal so the music has to remain on the internal too or so ? owning every single nintendo unit minus DS, I myself have grown tired of them but were all intitled to our views correcto? Lets just say, thats no big news considering emulators have existed on PC's from the dawn of time. woopdy, look, im playing Mario. wait, i played that and beat that 15 years ago. Its like waiting for a new beemer and in the up coming press conferences before them, they claim that it will be able to do 20mph. yay? no, tell me things i can do that we havent seen yet. I think XBLA, Nintendo's Classics, the massive, MASSIVE number of emulator users makes it pretty evident that old games are still good. I also like how you think everybody is just like you. How no other opinions or tastes matter. I never played a whole plethora of these classic games; Zelda 2, Super Metroid, Donkey Kong Country series, Link to the Past (not to completion), Mario Bros 2, Contra series, Megaman series. Just them off the top of my head. I would give anything to play them again (I'm no sad emulator user either ) and buying all those consoles and finding those games in Europe would be too damn hard to start with. Add in there my parents want to play those old games again, my sister is stoked as hell to get Mario Kart 64 again. Besides those old games are just perfect for new comers. They can see where the game started off at. Perfect for the old folks who love nostalgia (me). And will make a lovely supplement to a system looking towards the future in terms of interaction. Old and New. AND I can lock up my NES, N64 and GC in the attic! Saving space, increasing the number of free plug sockets, and preserving vintage consoles! w00ts. what if mercedes would come out and anounce that they are making brand new 300 SL (W198) and it will be available in juli .. and not only the 198 but also they will be put the C111 into production.. or the W100/W111/W113 ? Let me put your entire post to shame. but were all intitled to our views correcto? Takao! You cannot make any suggestions that old things are good! We all want adverts in games, extreme realism, no fun! Exactly. So why do you constantly say that everything Nintendo do is wrong? Entitled to opinions yes, but don't make it sound like everyone else wants what you want. so wait, is this you agreeing that you blew my comments out of perportion? Entitled yes and great. Same can be said about every comment made yet people make comments on "omg, PS3 in game add" or "revo is a revolution indeed" but I dont see you going in there posting and saying well not everybody thinks that. So again, all your doing is justifying your view on pro nintendo and anti other system topics while I do the same. its just somehow, im wrong because im on other side of the view while you can do the same and its ok because your on the other side.